On April 4, the IRS and the Treasury Department issued proposed rules under Section 385 for determining whether corporate debt obligations will be treated as debt or stock for US income tax purposes. The proposed regulations were issued to help limit the tax benefits of corporate inversions, but apply more broadly. Numerous court cases have analyzed whether corporate debt obligations should be respected as debt. Generally, the courts and IRS rulings have established various multi-factor tests to determine the tax character of corporate debt. These cases and rulings have not always been consistent and case law continues to evolve. As a result, it frequently is difficult for practitioners to advise on the tax treatment of complex financial instruments. Section 385 was enacted to allow the Treasury Department to issue regulations on the appropriate treatment of financial interests in corporations. The proposed Section 385 regulations do not provide for comprehensive rules for determining whether an instrument is treated as debt or equity. Instead, the proposals key on specific issues. As a result, the existing cases and ruling will generally continue to apply. Recharacterize certain corporate transactions that have been commonly used to reduce US tax by earnings-stripping (i.e., intercompany transfers of debt instruments). The proposed regulations do not provide rules to determine whether an instrument that is recharacterized as stock is treated as common or preferred stock. The preamble states that the terms of the instrument should be taken into account in making the determination. The proposed Section 385 regulations do not generally apply with respect to debt that is issued by one member of a consolidated group to another member of the group. Instead, the proposed regulations treat the members of a consolidated group as a single corporation. This will likely exempt one of the most common forms of related party debt from the reach of the proposed rules. The cases and rulings have generally applied an all-or-nothing approach in determining whether an instrument is stock or debt. The proposed regulations, when finalized, would authorize the IRS to treat a debt instrument that is issued by a corporation to a related person as part-debt and part-stock. For this purpose, a shareholder will generally be treated as a related person if they own, directly or indirectly by attribution, at least 50% of the issuing corporation’s stock (by value). For example, if a corporation issues debt with a face amount of $5 million to a 100% shareholder but the IRS determines that there is a reasonable expectation that only $3 million will be repaid, the IRS could treat $3M of the instrument as debt and the remainder as stock. The proposed regulations do not authorize taxpayers to bifurcate debt for tax purposes. However, if the issuer initially characterizes the instrument as solely debt, that characterization is binding on the issuer, as well as the holder, and any other person that relies upon the characterization of the instrument as debt. The bifurcation rules are proposed to apply to debt obligations that are issued after the proposed regulations are finalized. Existing debt obligations could become subject to the final rules if they are substantially modified (or recharacterized pursuant to a check-the-box election) after the regulations are finalized. The proposed Section 385 regulations also contain rules that will require certain taxpayers to maintain documentation and records regarding debt obligations that are issued by a corporation to an affiliated corporation or partnership. The proposed substantiation requirements only apply to instruments that are issued in the form of indebtedness. These substantiation requirements only apply if (i) the stock of the issuer (or an affiliated corporation) is publicly traded, or (ii) the financial results of the issuer (or an affiliated corporation) are shown on an “applicable financial statement” (e.g., a financial statement that is audited by an independent CPA firm) and the financial statements report total assets in excess of $100 million (or annual total revenue in excess of $50 million). As a result, the scope of this requirement will be limited generally to large taxpayers. For taxpayers who are subject to the substantiation requirements of the proposed regulations, a failure to meet the requirements will result in the mandatory treatment of the debt obligation as stock for US income tax purposes. The IRS has stated that if the specified documentation is not provided by a taxpayer upon request, then the IRS will treat the substantiation requirement as not satisfied and will categorize the instrument as stock. If the requirements are met, then the character of the instrument will be determined under general tax principles (i.e., based upon case law). That the issuer has an unconditional (and legally binding) obligation to pay a specified sum at one or more fixed dates (or on demand). That the holders have typical creditor rights to enforce the obligation (e.g., the right to cause or trigger an event of default or acceleration for any missed payment and the right to sue to enforce the payment). That the holders have a right to assets upon a dissolution of the issuing corporation that is superior to shareholders. That the issuing corporation’s financial position supports a reasonable expectation that the issuer intends (and has the wherewithal) to meet its obligations under the instrument. The appropriate documentation can include cash flow projections, financial statements, business forecasts, asset appraisals, and calculations of debt-equity ratios (or other relevant financial ratios). Legally privileged documents cannot be used to satisfy this requirement. If a payment was made by the issuer under the instrument (and the payment is claimed to support the treatment as debt), evidence of the payment must be documented. If the issuer missed a required payment under the instrument (or there was an event of default), the efforts of the holders to assert their creditor’s rights (or the basis for not asserting such rights) must be documented. The proposed regulations impose time deadlines for when each of the above-described items must be documented. The records must be maintained until the statute of limitations on an IRS tax assessment closes for all taxable years for which the treatment is relevant. It should be noted that the substantiation requirements apply to term loans, as well as other less formal debt obligations (such as revolving credit agreements and cash pooling arrangements). The IRS will be given the right to waive some of the substantiation requirements if reasonable cause is established. Generally, the proposed substantiation requirement applies to a debt obligation that is issued by a corporation to an affiliated corporation. Two corporations will generally be treated as affiliated for this purpose (i) if one corporation owns, directly or indirectly by attribution, 80% or more of the stock of the other corporation (by vote or value), or (ii) a third corporation (the “common parent”) owns, directly or indirectly by attribution, 80% or more of the stock of both the holding and issuing corporations (by vote or value). Foreign corporations can be treated as affiliated corporations. In addition, the proposed substantiation requirements can also apply to debt that is issued (or held) by a partnership if the debt is held (or issued) by a corporation that owns directly (or indirectly by attribution) at least 80% of the equity of the partnership (by capital or profits). For example, if a parent corporation and a wholly-owned subsidiary each own 50% of a partnership, the partnership could be subject to the substantiation requirements if it issues debt to the parent or the subsidiary. If the substantiation requirements are not met, the instrument issued by the partnership would be recharacterized as an equity interest in the partnership (and not as a guaranteed payment). If a taxpayer fails to meet the proposed requirements, then the instrument would be treated as stock for tax purposes. 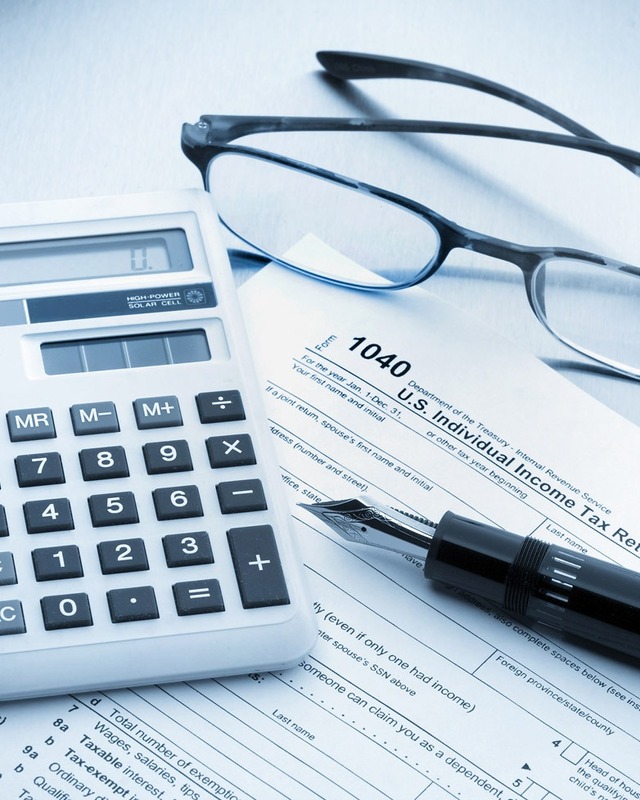 However, if the taxpayer fails to meet the requirements with a principal purpose of reducing federal tax liability, the record-keeping and documentation requirements do not apply. If the issuer initially characterizes an instrument that is subject to the substantiation requirement as debt, that characterization is binding on the issuer as well as the holder and any other person who relies upon the characterization of the instrument as debt. The IRS is not bound by the issuer’s characterization. Normally, holders are permitted to take a position contrary to the issuer if the position is disclosed on a return (except as provided by regulations). This ability to take a contrary position would be taken away by the proposed regulations. The proposed record-keeping and documentation requirements will only apply to a small number of large taxpayers. Notwithstanding, it may be a worthwhile exercise for taxpayers to apply some of the requirements on a voluntary basis (and possibly with a reduced amount of record-keeping). If the IRS were to challenge the treatment of a debt instrument, records similar to the ones required by the proposed regulations would be helpful in substantiating the position. As a result, it could be said that the requirements of the proposed regulations are a best practice in substantiating related party debt. The substantiation requirements are proposed to apply to debt obligations that are issued after the proposed regulations are finalized. Existing debt obligations could become subject to the final rules if they are substantially modified (or recharacterized pursuant to a check-the-box election) after the regulations are finalized. The proposed Section 385 regulations generally treat certain debt obligations that are issued by a corporation to an affiliated corporation as stock if the instrument is transferred (i) in a distribution with respect to stock to an affiliated corporate shareholder, (ii) in exchange for stock of an affiliated corporation, or (iii) in exchange for assets to an affiliated corporation pursuant to a corporate reorganization. In addition, a debt obligation is treated as stock if it is issued with a principal purpose of funding any of the transactions described above or issued with a principal purpose of avoiding stock treatment under either the transfer or funding rules. As an example of how these proposed regulations could apply, assume that FP, a foreign corporation, owns 100% of Sub, a US corporation, and FS, a foreign corporation. FS lends Sub $100 million in exchange for a Sub note and then Sub distributes the $100 million in cash to FP. Assuming that the principal purpose of the loan by FS was to fund the distribution to FP, the Sub note would be recharacterized as stock. As a result, Sub would not be permitted to deduct the interest on the Sub note. The recharacterization rules do not apply unless the aggregate adjusted issue price of all debt instruments that are potentially subject to recharacterization under the rules described in the prior paragraph exceed $50 million. Once this threshold is exceeded, the exception will not apply to any future transactions as long as the instruments that were exempt are still outstanding. There are also exceptions for distributions of current year earnings and profits as well as certain funded acquisitions of subsidiary stock. Generally, the holder and issuer of an instrument will not realize any income, gain, deduction, or loss if an instrument is recharacterized from debt to stock. Normally, the issuer’s initial characterization of an instrument is binding on both the issuer and the holder (except if the holder discloses the inconsistency on a tax return). This rule does not apply if the instrument is treated as stock under the recharacterization rule. As a result, both the issuer and holder will be allowed to treat the instrument as stock even if the issuer initially treated it as debt. The proposed recharacterization rules can apply to a partnership if one or more affiliated corporations own directly (or indirectly by attribution) at least 80% of the equity of the partnership (by capital or profits). In such case, the partnership is disregarded. Instead, each affiliated corporation that is a partner in the partnership is treated as owning its proportionate share of the partnership’s assets and as having issued its proportionate share of any debt instrument issued by the controlled partnership. The recharacterization rules are proposed to apply to debt obligations issued on or after April 4, 2016. Debt obligations that are issued before that date could become subject to the final rules if they are recharacterized pursuant to a check-the-box election that is filed after April 4, 2016.